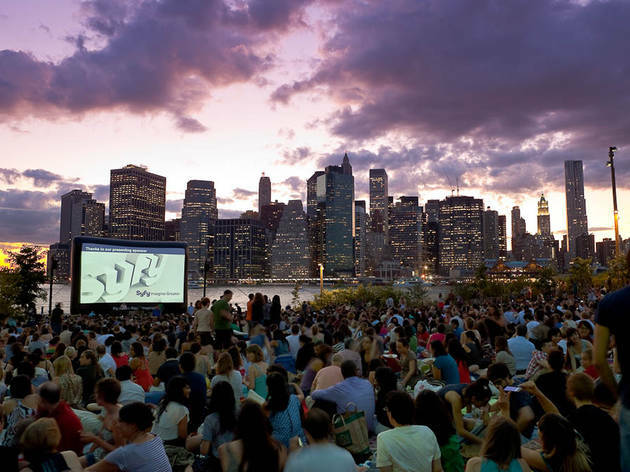 Set against a spectacular view of lower Manhattan, this outdoor movie mainstay at Brooklyn Bridge Park's Pier 1 seems to garner a larger following with each passing year. That being the case, be sure to arrive early to beat the massive crowds—you'll stay entertained with pre-movie sets by local DJs as well as a short film. While this is not a strictly family-friendly series (many flicks are rated R), this year's more kid-friendly picks include Duck Soup (July 10), Fantastic Mr. Fox (July 24), and Beetlejuice (July 31). 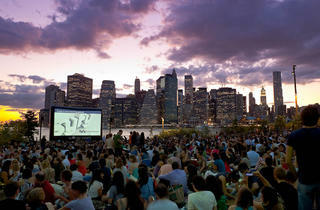 Music starts at 6pm, movies begin at sundown. All ages.